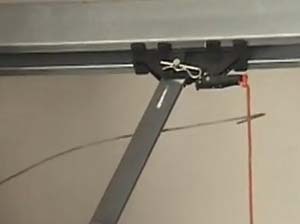 I had a fellow home inspector share this video on just how fast someone can break into garage. I never thought it would be so easy. Watch the this demonstration and see someone get in just 6 seconds. Of course once they are in the garage, they can take their time breaking into the home since they will be out of sight. Make sure to have a secure door to the home from your garage with a proper deadbolt. This door should also be a fire rated auto closure door. Keep it locked! 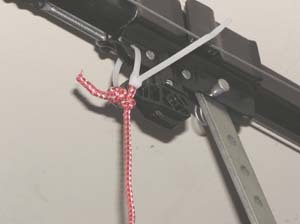 We recommend you zip tie the release lever to the slider. You will have to cut the zip tie to manually open the door. This is one of the quickest and simple ways to secure your home for less then a nickel. Thanks to Aaron Lore of Aaron's Home Inspections for bringing this to my attention!